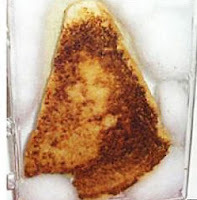 Home World From "Hand Of God" Rock and "Virgin Mary" Cheese on Toast to "Jesus" Kit-Kat - How Much Would You Pay? 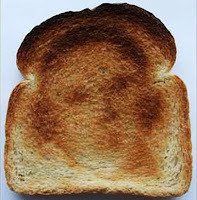 From "Hand Of God" Rock and "Virgin Mary" Cheese on Toast to "Jesus" Kit-Kat - How Much Would You Pay? It seems that the number of everyday items carrying 'heavenly' images being sold on eBay is escalating to new heights. 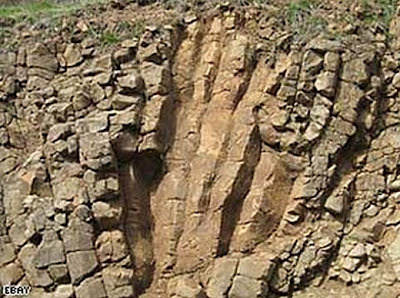 In the latest incident, a US man has tried to auction off a rock formation in his backyard after becoming convinced it bore the "hand of God". Paul Grayhek, 52, placed the rock on eBay after it appeared following a "rare" rockfall at his home in northern Idaho last month. But the "Hand Of God Rock Wall", as he dubbed it, has been removed from the auction site despite attracting a high bid of US$2175. There was no explanation for why the item was removed.